What to expect at a mosaic workshop? 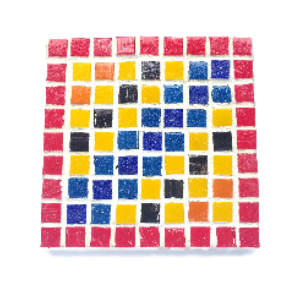 In this mosaic workshop, we will teach you how to make your own mosaic coaster. You will design and create a unique coaster to take away with you, learn about the mosaic process and how to mosaic safely with the direct method of mosaicing. You will also have access to our collection of beautiful glass tiles to design your coasters.